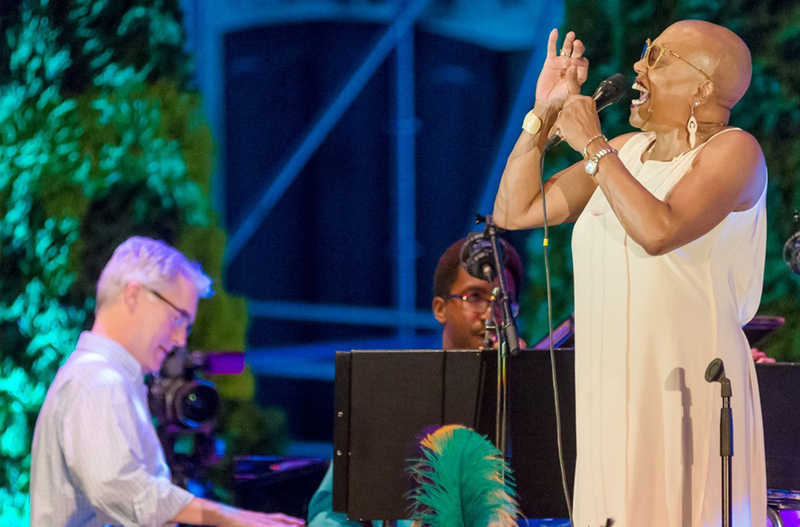 Dee Dee's Feathers gives a modern vision of New Orleans painted through the collaboration of New Orleans Jazz Orchestra (NOJO) Artistic Director Irvin Mayfield and Honorary Chairperson Dee Dee Bridgewater. Traditional songs such as Big Chief, Saint James Infirmary, and What a Wonderful World along with new compositions Congo Square and C'est Ici Que Je T'aime will provide a sense of "New Orleans place" through music - weaving a slice of New Orleans' Jazz history and its people. Over the course of a multifaceted career spanning four decades, Grammy and Tony Award-winning Jazz giant Dee Dee Bridgewater has ascended to the upper echelon of vocalists, putting her unique spin on standards, as well as taking intrepid leaps of faith in re-envisioning jazz classics.